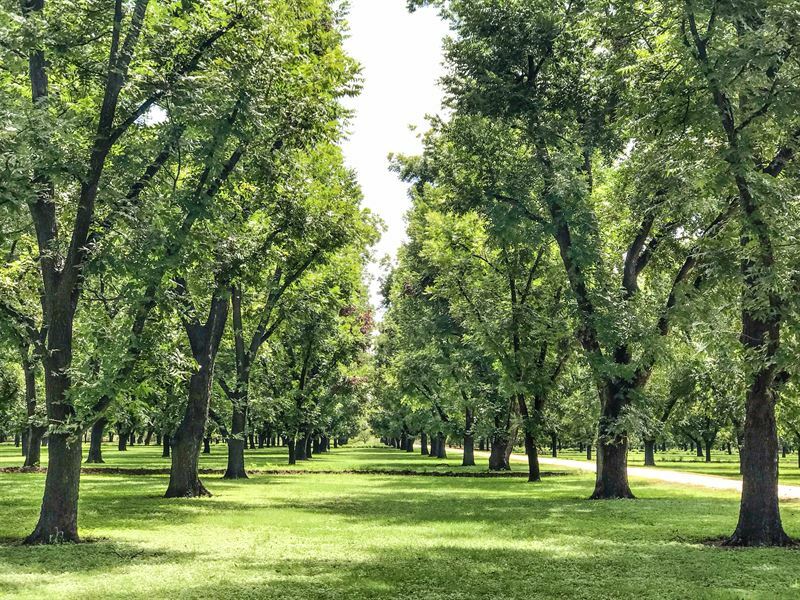 A "Beautiful" opportunity to purchase a gorgeous pecan orchard. A 2,000-Tree operation that also share crops another 23+/- acres of pecans. The property is not only an income producing property, but also has spectacular recreational appeal. 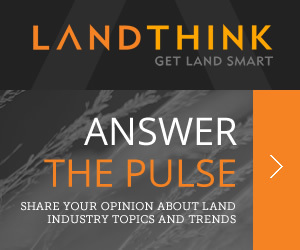 The free-range axis and black buck provide an excellent hunting set up. IMPROVEMENTS: The orchard has an approximately 2,490 sq. ft. foreman's house with approximately 1,531 sq. ft. of open and screened end porches. Next to the foreman's house are the guest cabins (approx. 600 sq. ft.) both of which have 300 sq. ft. front porches. A 2,400 sq. ft. metal pole barn with concrete slab floors that houses all of the pecan processing equipment. 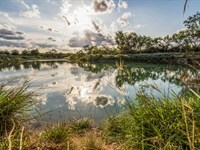 VEGETATION: Pecan Trees, (Western, Wichita, and Native trees), Hackberry, Mesquite, and a small amount prickly pear cactus along the fence lines and the river. Native grasses and forbs line the pecan trees roles. 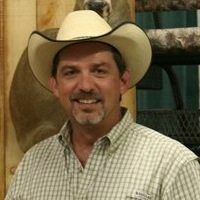 WILDLIFE: Whitetail deer, Axis, black-buck, dove, coyotes, bobcats, and other varmints. 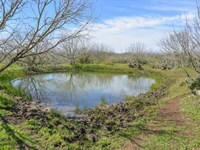 WATER: The property does have a water well next to the house located in the central portion of the property. 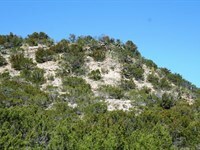 The property has approximately 400 total feet of frontage along the north side of the Llano River. 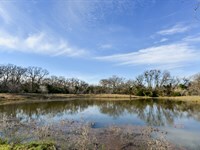 The property also has 119-Acre feet of water rights for irrigating the orchard. 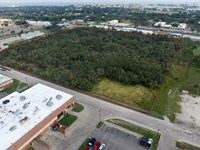 There is a Tceq permitted water pump located at the northwestern corner of the property. This pump put water in to the irrigation channels which provides irrigation through-out the orchard. 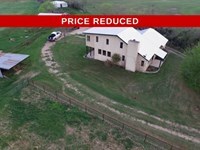 ACCESS: The property is at the end of Kimble County Road 3121 (384 KC 3121, Junction, Texas 76849). Equipment: The orchard has a long list of equipment that has been included in the price of the property and some others that have not been included. A list showing all of these will be provided upon request. FENCING: The orchard is fenced on the north and east sides with net wire fencing on metal “T” post and metal post. The remaining sides either have barbered wire fencing which is laid over or no fencing. 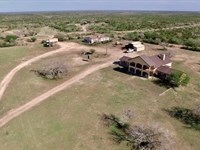 When calling broker, please say, "I found your listing Llano River Pecan Farm on FARMFLIP."